The Internet of Things is helping water, electric, oil, and gas utilities to run their businesses more efficiently, supporting remote metering for both business and consumers, early detection of faults and leaks, better network management, remote management of SCADA networks, along with many more use cases. M2M Connectivity support Utilities by offering fit for purpose LPWAN hardware (LoRaWAN, Sigfox and Cat M1/NB-IoT) for low data rate remote monitoring needs. 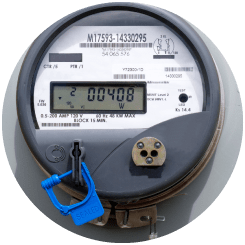 LPWAN technologies are driving many metering and monitoring use cases, offering low hardware and usage costs, wide area coverage and an ability to power a system for 5+ years off batteries. We also support higher bandwidth use cases using 4G/LTE and IP over satellite (using BGAN and Certus modems) where IoT and M2M are key to monitoring and control applications within Utilities such as for PLC and SCADA systems. Offering Managed Services to support utilities to manage their remote networks and control their costs (e.g. usage).